A pent roof shed with the door on the right-side of the gable. Sheds are available for delivery only. Shed delivery times vary. Price includes fitting. All sheds are bolted together, not nailed! 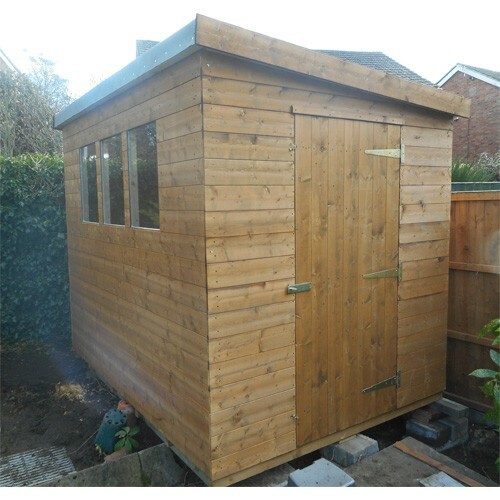 All sheds are fitted with galvanised fixings and heavy duty roofing felt. Removing your old shed is available, please call for a quote! Prices INCLUDE treatment and fitting. Shed delivery times vary. Flagged base is available to order with sheds. Made up of reclaimed flags and set on a bed of sand and cement.